Today Amazon announced the all-new Fire TV Stick with Alexa Voice Remote, the most powerful streaming media stick available. The next-generation Fire TV Stick is 30 percent faster than the original best-selling version, offers access to more than 300,000 movies and TV episodes, and includes the Alexa Voice Remote—for only $39.99. Now sporting a quad-core processor, it has the horsepower to let your high-performance apps and games shine. We’re also optimizing the on-device experience for customers, making it easier for them to discover new content. The all-new Fire TV Stick offers new and upgraded features including, personalized recommendations, notifications and Alexa powered voice search that allows customers to launch apps and games by name using their voice. Engage new customers and expand your reach to the living room with Fire TV Stick. Submit your app now to make sure it’s available when the new Fire TV Stick ships on October, 20th. We’ve made a host of improvements that reduce the amount of work customers have to do to engage with the content they love. This means customers use your apps more, leading to more sessions, deeper engagement, and more opportunities to generate revenue. We expect these and many other features will make the new Fire TV Stick even more popular, further expanding the reach for your apps and games. To make it simple for customers to access their existing app library, we’ve added a new “My Apps” icon to the Heads Up Display. Holding down the Home button on the Fire TV remote brings up the Heads Up Display (pictured below), and from there customers can go directly to their app library, reducing the clicks it takes for them to start engaging with your content. To get your app in front of the right customers, we’ve also refined our recommendations to surface new content. Based on their existing preferences, customers will see personalized recommendations in the “Recommended for You” and “Top Free Apps” categories. For example, customers that tend to prefer cooking apps, are more likely to be recommended content related to food and drink, getting your app in front of the right customers and increasing the likelihood that it is downloaded. To make it easier for customers to discover new apps within a category, we’ve created a new 2D layout that displays dozens of apps at once. For customers, this makes it easier to explore the category, surfacing more content on the screen while reducing the effort to scan the entire catalog. For developers, this increases the likelihood that customers are exposed to your app, helping you reach new customers. To make it even easier for Fire TV customers to discover new content, we are bringing them a brand-new, content-forward experience via a software update later this year. Updates will include a new "My Apps & Games" row on the Home Gateway, where customers can arrange their favorite apps for faster access. 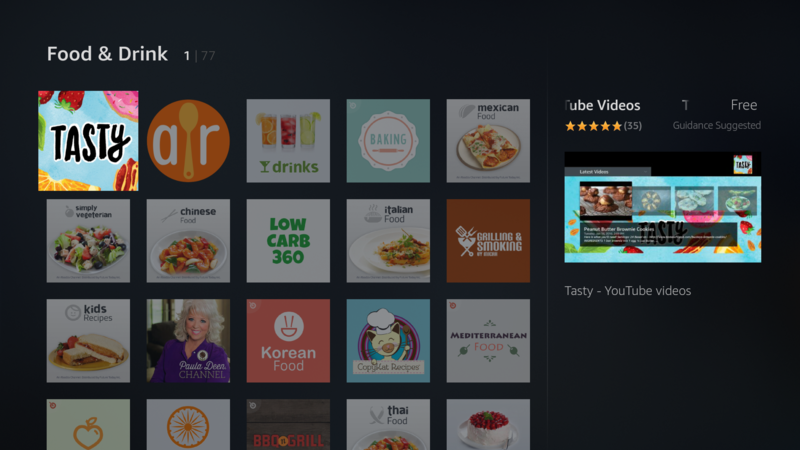 There will also be additional rows like "New to Fire TV Apps" and "Best New Fire TV Apps" that will help customers discover new content. Search optimizations will introduce a 2D grid that displays apps and movies above the fold when customers search for a specific keyword. These are just some of the of many changes that will go live with the new UI refresh, making app discovery that much easier for your customers. Once customers have found your app and downloaded it, you want to keep them engaged and using your app as much as possible. Fire TV’s Android-based software features notifications that will help keep your app top of mind, increasing customer engagement and sessions. After an app has been installed, customers get a quick notification letting them know it’s ready to launch. Customers who take the time to install your app are re-engaged once the process is complete, drawing their attention back to your app and keeping their interest fresh. The notification appears in the bottom right-hand section of the screen, alerting customers that the download is complete and giving them the option to launch your app in one click. To ensure customers are using the most recent version of your app, Fire TV offers two types of update notifications. The "Required Update" notification is a visual prompt on an app icon, indicating that there is a new update available. The second update notification is presented to customers via an on-device dialogue box (shown below). 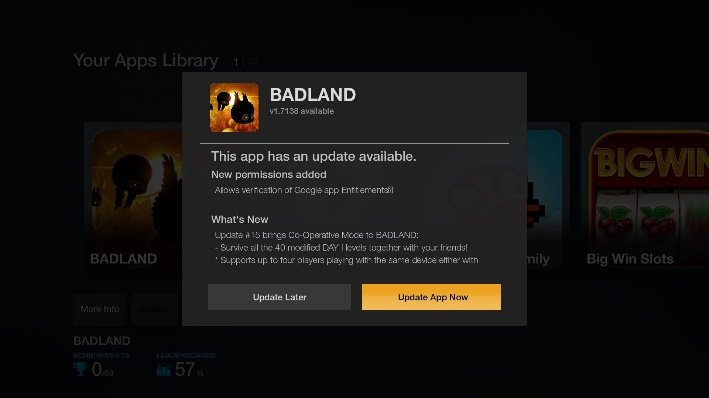 When a customer starts a new session in your app or game, they are presented with the option to “Update Now” or “Launch without Updating” alongside details that describe what’s new in the update. Fire TV Stick now comes with the Alexa Voice Remote, making it easier for customers to find exactly what they’re looking for. Alexa is Amazon’s cloud-based voice service that allows customers to instantly play music and get information, news, sports scores, weather, and more—just press and ask. 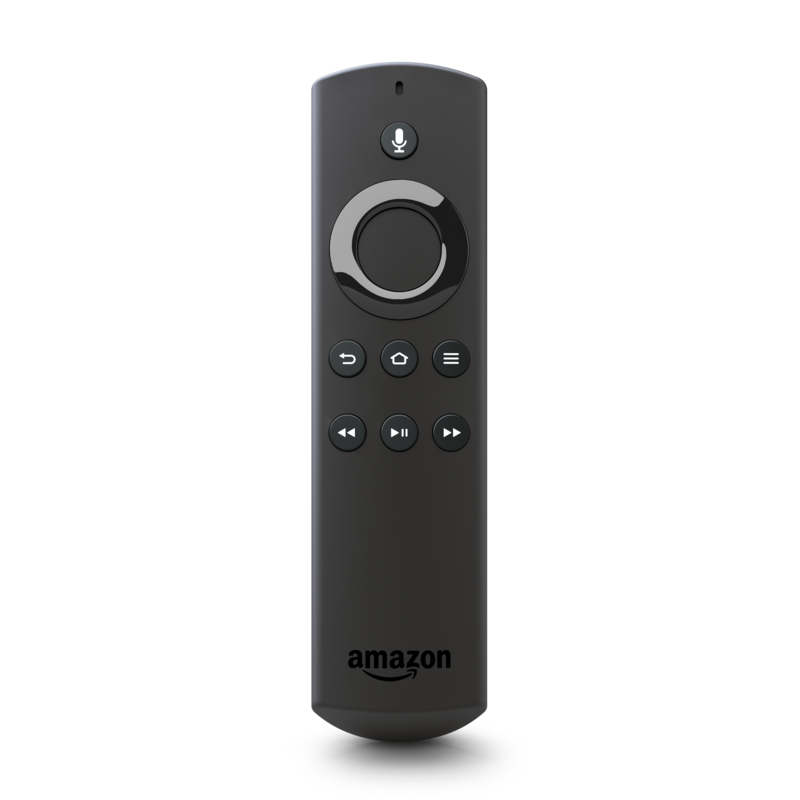 Fire TV Stick with Alexa Voice Remote allows customers to search for specific apps by name, open an existing app, or request broader searches like “racing” through voice commands. To make it easier for customers to find what they’re looking for, we’ve also made voice search more powerful. Voice search now extends to app metadata, so search results are refined and more effective than before. 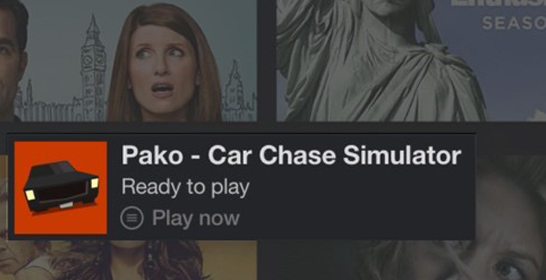 For example, if “racing” is a keyword in your app’s metadata, your game will be surfaced in search results when a customer asks for “racing games”. The new Fire TV Stick runs on Fire OS 5, which is based on Android Lollipop, so you can develop with the tools and frameworks you’re familiar with. 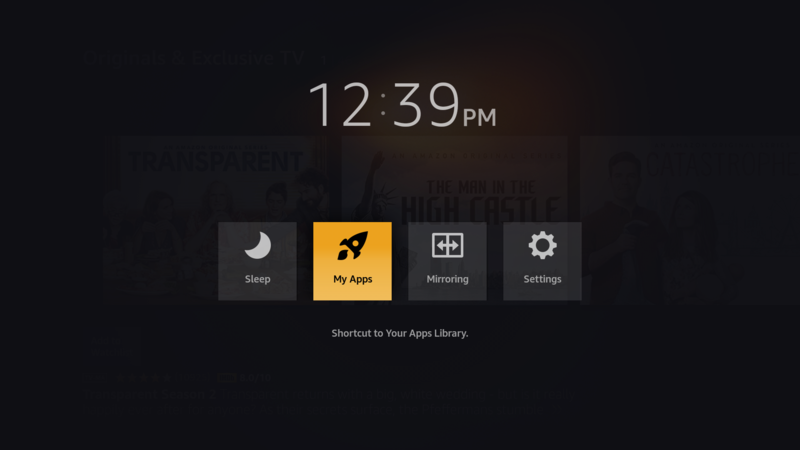 If you have a media app, you can use our Web App Starter Kit (WASK) to speed up the process of bringing it to Fire TV. Customers like the Republican and Democratic National Convention have used WASK to bring their content to Fire TV. “WASK enabled us to quickly get a TV app up and running for tens of thousands of people to watch content both live and on demand”, said 2016 RNC Deputy Digital Director, Doug Hochberg. According to DNC Innovation Coordinator Shelby Wagenseller, “WASK enabled [the DNC] to quickly create a TV app, without wasting time and energy bringing in additional development resources.” Other development tools are also available, such as System X-Ray, which provides streamlined intelligence on app behavior and performance during testing.